VR experience screenshot of the USS Arizona. Courtesy NPS/Autodesk. Ever since the Gettysburg National Battlefield Museum introduced its beloved electric map in 1939, the museum world has sought to engage future generations with technological bells and whistles. Today—though the approach is not without its detractors—museums have turned to technology as an increasingly essential tool in the battle for hearts, minds, and attention spans. Museums like the Smithsonian and the American Museum of Natural History are experimenting with virtual tours and immersive, interactive exhibits. These innovations can help draw more bodies through their doors, fulfill their educational missions, and broaden their reach to audiences who might never have the chance to see their exhibits in person. VR experience screenshot of the USS Arizona. Courtesy NPS/Autodesk. “We average 1.8 million visitors here every year, but there are countless more interested in our story who will never make it to Hawaii in their lifetimes,” says Scott Pawlowski, the National Park Service’s (NPS) chief of cultural and natural resources for the WWII Valor in the Pacific Monument at Pearl Harbor. 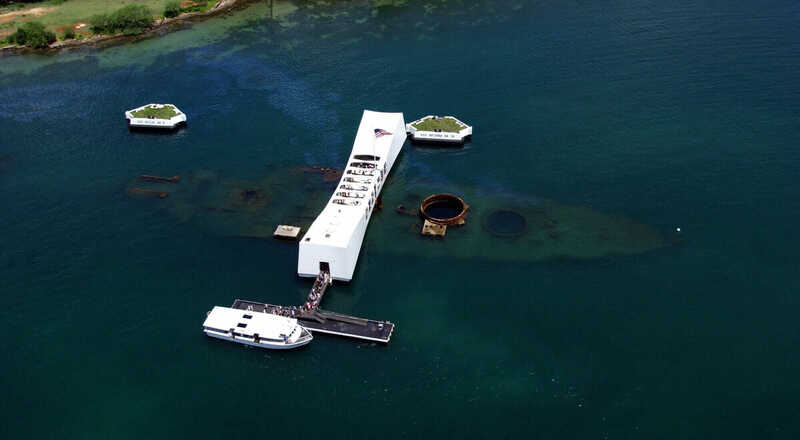 Pawlowski is particularly enthused about the introduction of new virtual reality (VR) technology features at Pearl Harbor and how they will enhance the experience of onsite and remote visitors. 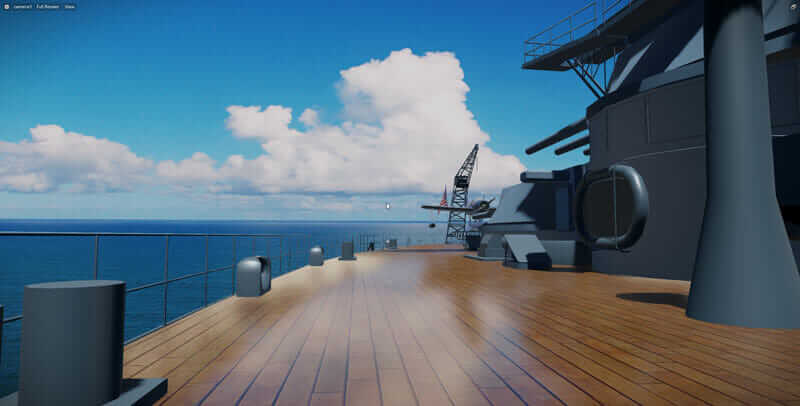 On December 7, 2016—the 75th anniversary of the infamous attack—NPS unveiled three new features in the new “Pearl Harbor VR Tour” app (available on iPhone and Google Play). 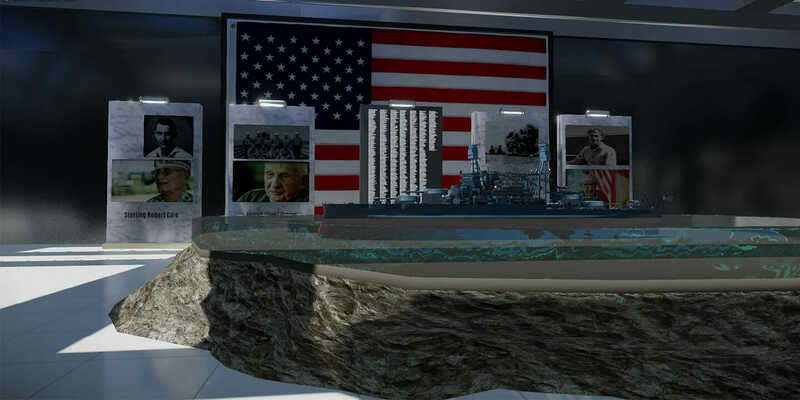 These show an accurate account of the bombing of Battleship Row, a virtual walking tour along the decks of the pre-attack USS Arizona, and a detailed journey through today’s undersea memorial. 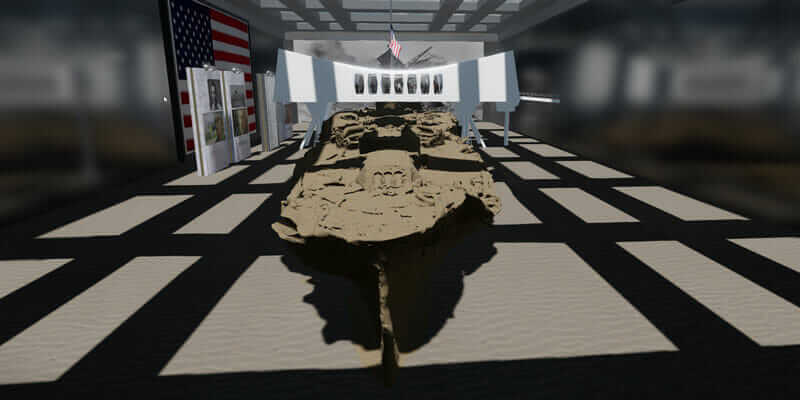 With this technology, aging military veterans in Miami or San Diego will have just as much opportunity as schoolchildren in Topeka or Tokyo to experience the historically significant site. VR experience screenshot of the USS Arizona shipwreck. Courtesy NPS/Autodesk. Former HDR engineer and retired U.S. Navy Captain Neil Sheehan is chairman of the board at PHP, which supports the operation of five historic NPS sites throughout the Hawaiian Islands, including Pearl Harbor. In recent years, he and fellow board members had noticed how many young visitors to the memorial were paying more attention to their iPhones than to the solemn, compelling history all around them. Sheehan also sees room for improvement. “The VR experience has been enjoyable, but we need to better tie it into our mission: education, both as an educational tool itself, but also as a source of revenue that could then be reinvested into our educational programs,” he says. USS Arizona Memorial at Pearl Harbor in Honolulu, Hawaii. Courtesy NPS. The new VR interface at Pearl Harbor is already showing some success, attracting 20 to 30 viewers per day in 2017. Tourists pay $4.99 for a 10-minute tour that allows them to walk the decks of the great battleship and even to virtually hold historical artifacts in their hands. More features are being added to the app this spring, and the VR tour will continue to be a work in progress. As HDR describes it, users eventually will be able to access hundreds of oral histories, interactive maps, and relics—some of which were warehoused and unseen by anyone. The digital-portal initiative began three years ago to create one master digital data set for historical preservation purposes, such as detecting and analyzing changes to the physical artifacts: monitoring things like the 101-year-old USS Arizona’s rate of physical degradation, oxygen levels on different decks, and even the growth of coral on its submerged surfaces. In August 2016, a strategic-projects team from Autodesk deployed an auto-coiling, remote-operated vehicle (ROV) to collect SONAR and LiDAR data from the ship over multiple dives. The information was then fed into Autodesk ReCap to create several models from each mission that NPS scientists could overlay and study for changes. Then the data went through ReMake to prepare for 3D printing.